Welcome to the world of private dining with the restaurants of Tom Douglas Seattle Kitchen. We know it can be a tall order to plan and shepherd a group for a party or special occasion. Working with us will ensure that your event is an outstanding one - that is as timely as it is tasty. 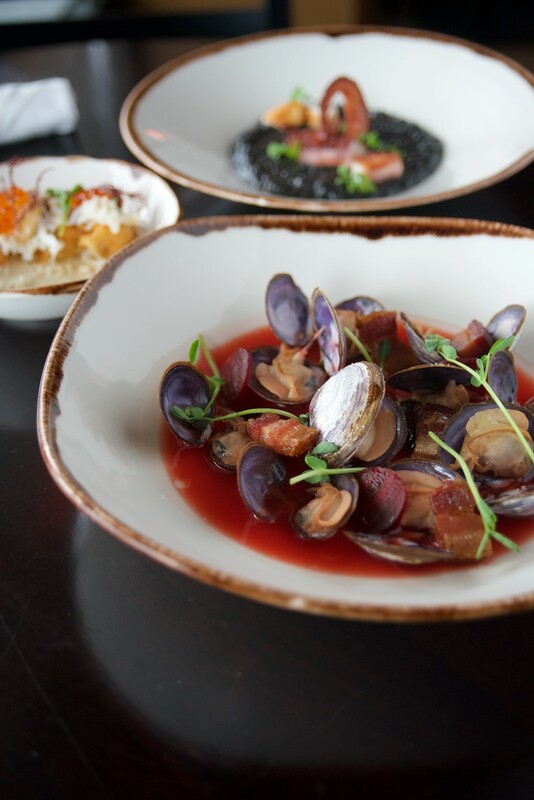 Our goal at Tom Douglas Seattle Kitchen is to make you absolutely confident that your post meal chats will start with accepting accolades for an exceptional meal, a seamlessly organized party and for being the consummate host. We live by the motto “deliciousness served with graciousness” no matter if your group is 10 or 1000. 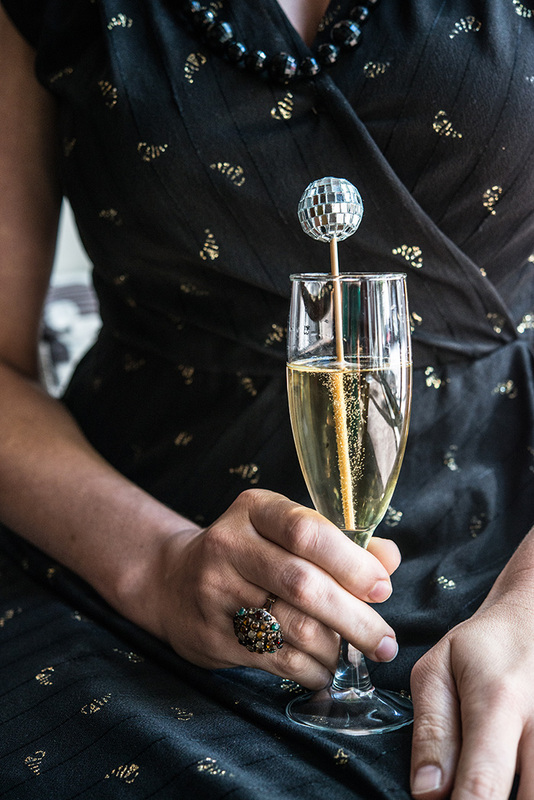 Let’s raise a glass to your successful event in any one of our fabulous private dining rooms. We look forward to serving you! 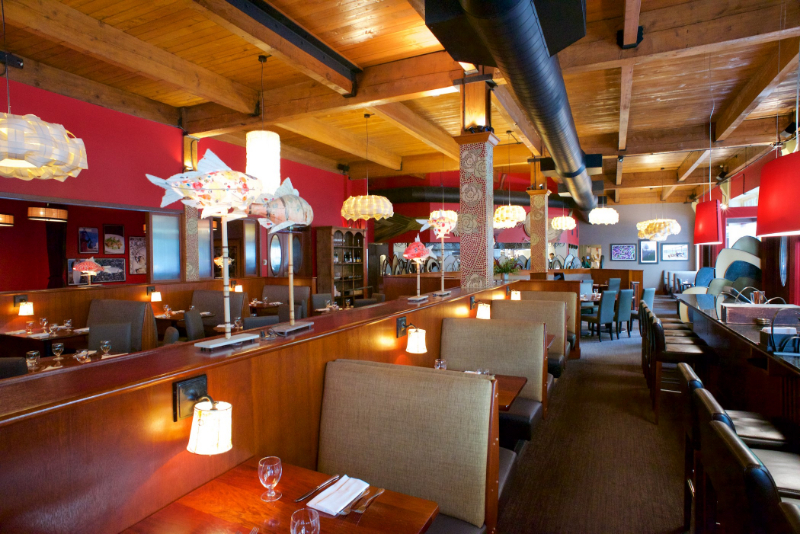 The Dahlia Lounge offers a warm and elegant setting in the heart of Seattle’s quintessential restaurant. The private dining room’s capacity is flexible and can accommodate up to 50 guests seated, or up to 75 guests for a cocktail party. The room can also be partitioned to suit the needs of smaller groups as needed. The award-winning cuisine, extensive wine list and outstanding service of Dahlia Lounge make for a truly unparalleled event. Impress your guests with Dungeness crab cakes with carrots, cauliflower, cumin, green mole sauce, cilantro and pepitas! Lola is located in downtown Seattle in the stylish Hotel Ändra. Lola’s menu features the wonderful produce of the Pacific Northwest in Greek- and North African-inspired dishes. As the exclusive caterer to the Hotel Ändra, Lola can create custom menus for the hotel’s four unique private dining spaces, all available for private events ranging from 5-150 guests. Impress your guests with slow-roasted Anderson Valley leg of lamb, mint, rosemary, preserved lemon and jus. Located in the heart of the South Lake Union neighborhood, Cuoco offers four private and semi-private dining options, each capturing the rustic elegance and ambiance unique to the restaurant. The menu reflects the hand-hewn cooking methods of northern Italy, highlighted by the signature pastas made daily by our pasta chef, Stan. 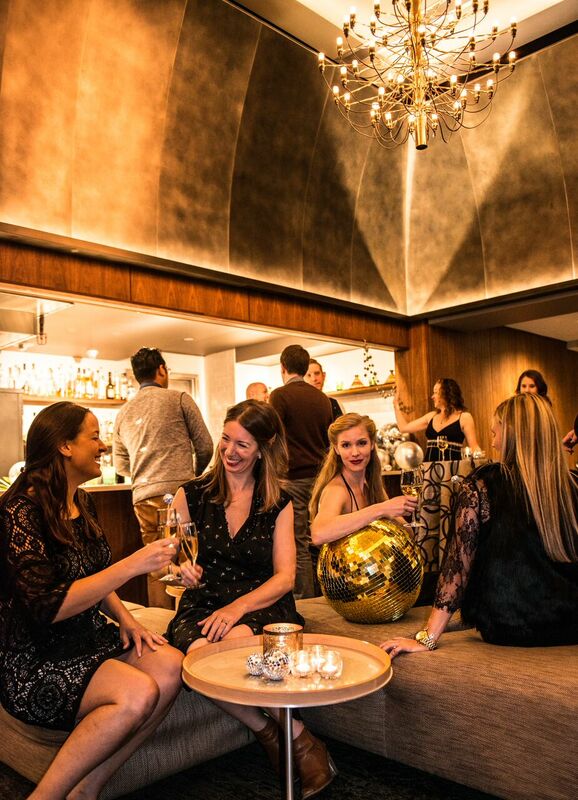 From a large cocktail party to a special intimate dinner, our spaces can accommodate groups as small as 8 and up to 160 people for a standing reception. Impress your guests with a bottle of Piedmontese Nebbiolo paired with handmade lasagna Bolognese! The rustic cooking of Mexico is an influence on the Cantina Leña but our chefs have also added their own flair and great Northwest ingredients. 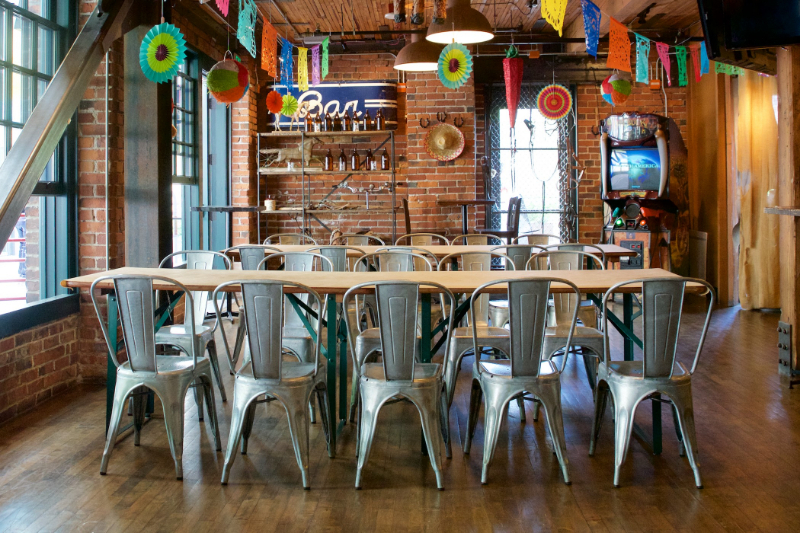 Cantina Leña’s vibrant Piñata Room is available for groups and private parties. 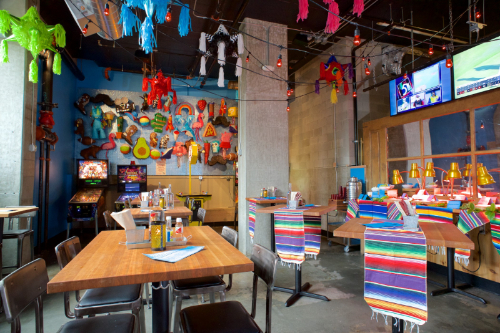 The festive space features a piñata wall and classic arcade gaming machines. Groups of 10-65 can enjoy ‘build-your-own’ taco bars and margarita slushies! Impress your guests with cadillac nachos with crispy pork carnitas, green chiles, pickled onion and fundido, alongside our signature margarita slushies! Looking for a fun, buzzy bar scene in the heart of South lake Union? Check out our Brave Horse Tavern Tack Room. With 24 taps, a full selection of spirits, flat screen TVs, Buck Hunter on free play and shuffleboard, this bustling room compliments the delicious menu whether it’s a wood-fired pretzel spread or barbecue feast. Seating is available for up to 50 guests or cocktail-style for 75 guests; all guests must be 21 years and older after 8pm. 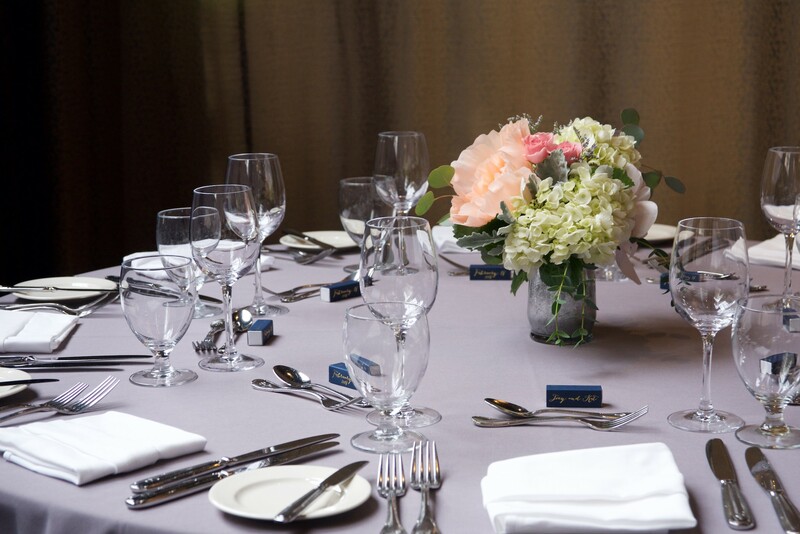 A chic urban venue that can be customized for any celebration with a stylish setting for dinner and dancing! Our party planners can guide you expertly, creating a fête and making dinner a feast! If you’re hoping to create a menu that incorporates some of your favorite dishes around town (such as Etta’s crab cakes or Lola’s kebabs), this location is perfect for your party! Tom would approve! Impress your guests with custom cocktails and a family-style menu followed by live music! Located at the north end of the Pike Place Market, Seatown Market Diner offers views of the market great for holiday buyouts and intimate cocktail parties for up to 40 people. Impress your guests with a seafood feast of Hood Canal oysters, Dungeness crab and Bristol Bay Sockeye salmon! The Hot Stove Society offers a get-together that is truly unique! 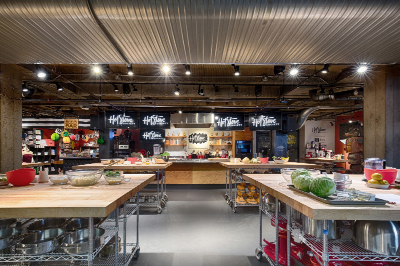 Celebrate as well as team-build with your crew in our cooking school! Our team offers events that range from light-hearted and sociable to team- and skill-building, each crafted to be creative and entertaining. Some of our customer favorites include dumpling workshops, filled pasta classes and tiki parties! Perhaps you already have a wonderful space, but seeking help with food and service? Our Tom Douglas Catering and Events team is here for you! 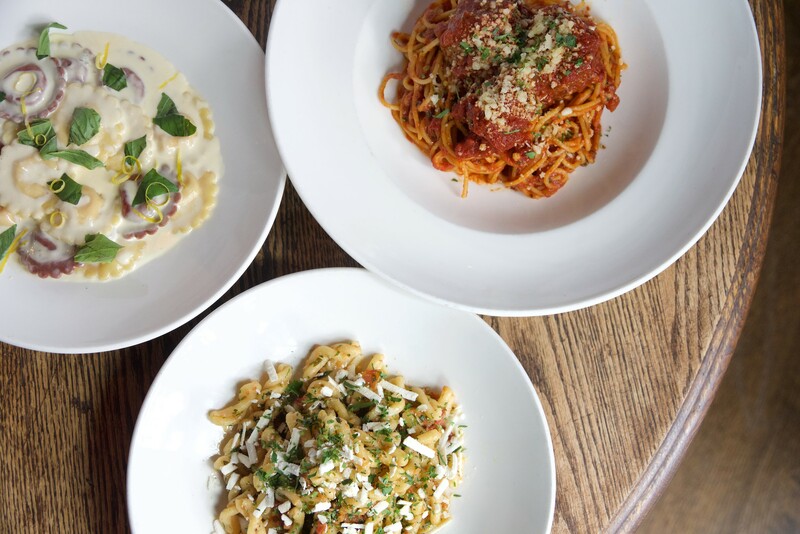 Whether it's throwing a reception for 500 guests at an off-site space or 50 guests at your home, our food always reflects the same quality that all of the Tom Douglas Restaurants are known for. Please click here to get more information! We look forward to serving you! Please contact Britta Hendren who can find the perfect fit for your gathering. Cheers!! Please visit our private dining guide for even more options. Tom Douglas Restaurants is concerned about your privacy. We do not rent, sell or exchange email addresses.